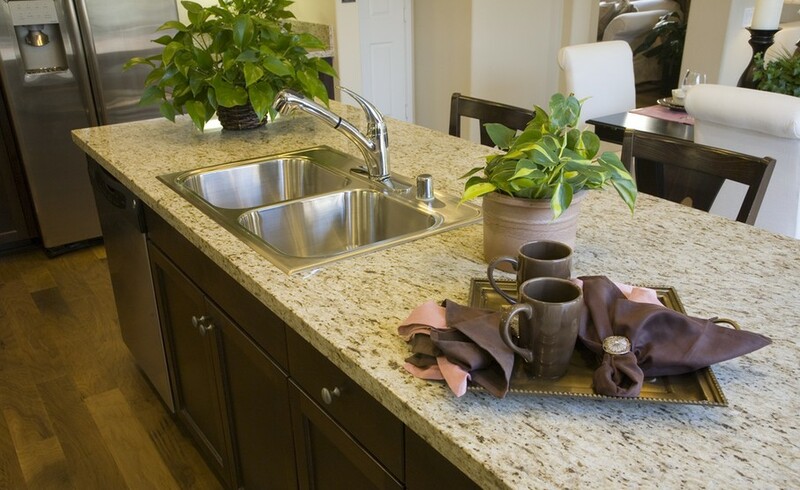 Follow these five tips to pick the perfect kitchen sink for your kitchen. When you’re designing a kitchen, you absolutely have to know how to choose the right kitchen sink style. 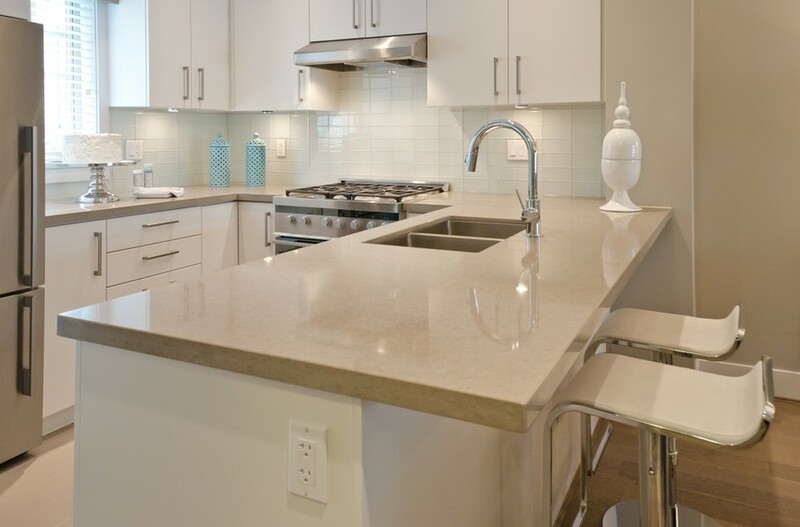 Whether you’re laying out a small kitchen or a large one, the kitchen sink is possibly the most important part of the space. Who can cook without a kitchen sink? Therefore, getting your kitchen sink style right is essential to getting your kitchen as a whole right. Kitchen sinks come in a wide variety of sizes, configurations, and materials; so the array of kitchen sink choices can be a little daunting. When you’re shopping for a kitchen sink, you can find yourself drowning in kitchen sink styles pros and cons. Don’t worry, though. We won’t let you go down the drain. Here are five tips to help you navigate through today’s kitchen sink types. Kitchen sinks are mounted in one of three ways. Top-mount sinks, also known as drop-in sinks, have a rim that rests against the countertop to hold the sink in place. These sinks are installed from the top, obviously; they’re dropped into a hole in the counter. These sinks are relatively easy to install because they don’t require a support system under the counter. However, the rim can cause issues over time because dirt can accumulate along the edge of the rim. Although top-mount sinks lean toward a more traditional look, they can fit into modern design. This type of sink is attached to the counter from underneath. Because of this, the counter’s surface is an uninterrupted plane that goes right up to the sink. Although this type of sink is more difficult and more expensive to install than top-mount sinks, it has some advantages. First, its sleek appearance fits well with nearly all modern design. Second, it’s designed for easy counter clean up; you can easily brush crumbs and other cooking debris right into the sink. Farmhouse sinks, also called apron front sinks, are a bit different from both top-mount and under-mount sinks. Although they require under-counter support like an under-mount sink, all of their edges aren’t hidden under the counter like an under-mount sink. At least the front part of the sink is designed to be seen. This type of sink is the most expensive to purchase and to install. Although you can get stainless steel apron-front sinks that will blend into industrial style kitchens, the most commonly known farmhouse sinks are intended for country or rustic kitchen styles. If your sink is under a window, choose a sink of similar size to the window. If you do a lot of cooking, you’ll want a larger sink, even if your kitchen is smaller. If you find a particularly eye-catching sink, you can make a large sink work in a small space by turning the sink into a focal point of the space. 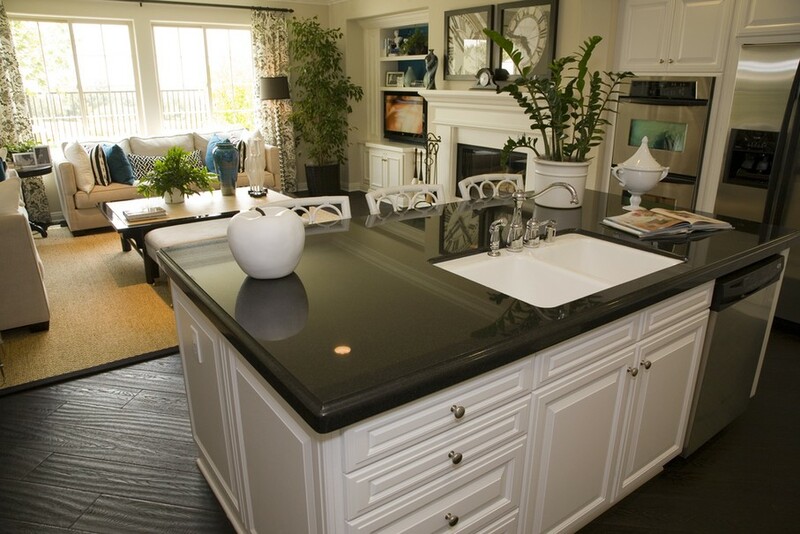 If you want a prep sink in the kitchen island, you’ll want to choose a small sink for that purpose. Single basin sinks are usually large and deep. This makes them convenient for washing big pans and prepping large amounts of food. The downside of a single basin sink, however, is that it can make it can be awkward to soak dirty dishes and do prep work at the same time. Double basin sinks have smaller basins than single basin sinks. However, they do give you the option of doing separate tasks in separate basins. One double basin option that can bridge the gap between single basin sinks and double basin sinks is a double basin sink with differing sized basins. These sinks generally have a 60/40 split, but different ratios are available. The larger sink can handle the bigger pans. The smaller sink is used for food prep. When a sink has three basins, generally two of the basins are large, and one with a garbage disposal is the smaller food prep sink. These sinks require large kitchens. Some kitchen sinks come with accessories built in. You can get sinks with drainboards, cutting boards, prep bowls, colanders, or racks for dishcloths, or utensils. The most common accessories are drain boards and cutting boards. Sinks with drainboards or cutting boards can have many configurations. You can have two basins with a drain or cutting board between them. You can have one basin with a drain or cutting board. Or you can have one large and one small basin with a drain or cutting board to one side of the sink. These sinks are often less stylish than basin-only sinks, but they free up counter space you might otherwise have to use for food prep or for drying foods or dishes. They can, therefore, maximize space in a small kitchen. 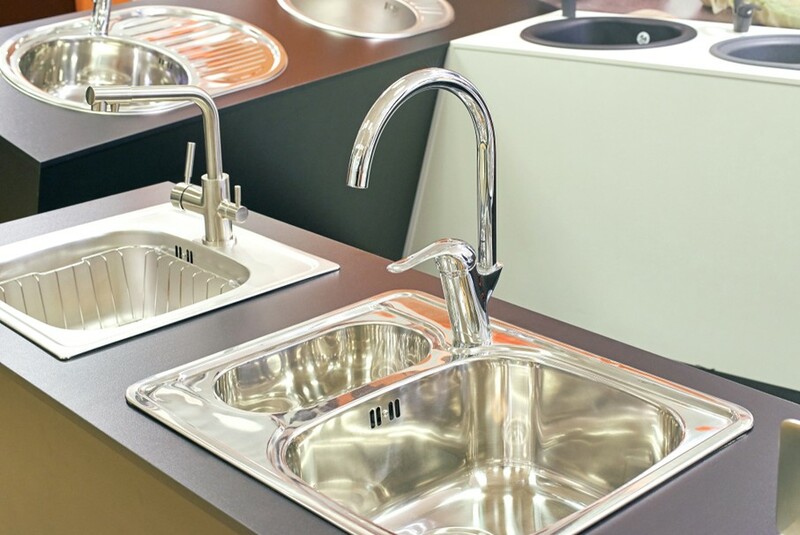 Durable and easy to clean, stainless steel is a popular sink material. It has just two downsides. First, it can be scratched. However, marks on brushed stainless steel can be buffed out. Second, water spots can be a problem. You can avoid these by wiping down the sink after use. This style of sink is common in both traditional and contemporary kitchen design. Porcelain is perhaps the most traditional kitchen sink material. Although it wears reasonably well, it can be chipped. Also, metal pans can leave black marks that are challenging, if not impossible, to remove. Porcelain sinks are good choices for vintage or country style kitchens. If you like bold color, porcelain is for you because it comes in a wide range of hues. Natural stone sinks can be an excellent option for period kitchens and rustic kitchens. They also work well with an organic, natural style. These sinks, however, are costly, and they are difficult to care for. Prone to scratches and chips, they don’t wear well over time if they’re heavily used. 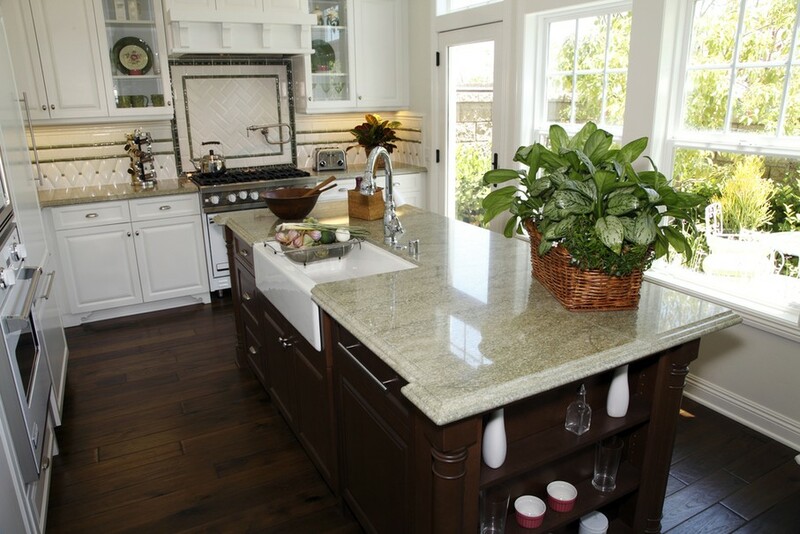 Granite composite is a popular material in modern kitchen sink design. Because granite composite sinks are made of a combination of granite particles and binding polymers, this type of sink is scratch- and chip-resistant. They also don’t show water spots. Because of these features, these sinks are becoming increasingly popular. They also have a clean, current look that will fit modern kitchens while also having a bit of a vintage vibe that can fit traditional kitchens. 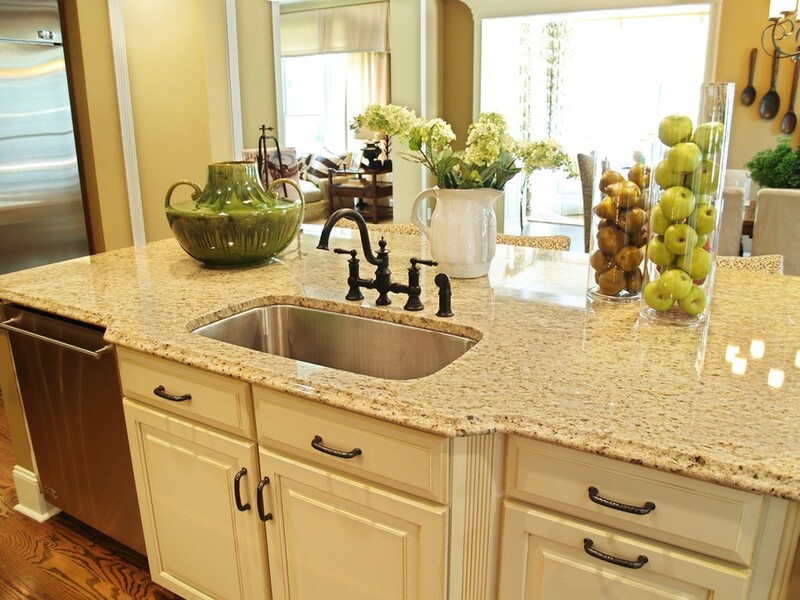 By using these tips, you can now choose the best kitchen sink for your kitchen wisely. Next: Kitchen Cabinets: Refinish, Repaint, or Reface?